Valhalla is vast with a big open-plan central space and lofty vaulted ceilings peered over by a gallery which you can retreat to. Bedrooms are dressed in fine linens with robes for post-bath snuggling, the big ski room has boot warmers and plenty of room for damp kit, and the centre of town for apres-ski and restaurants is a short walk. 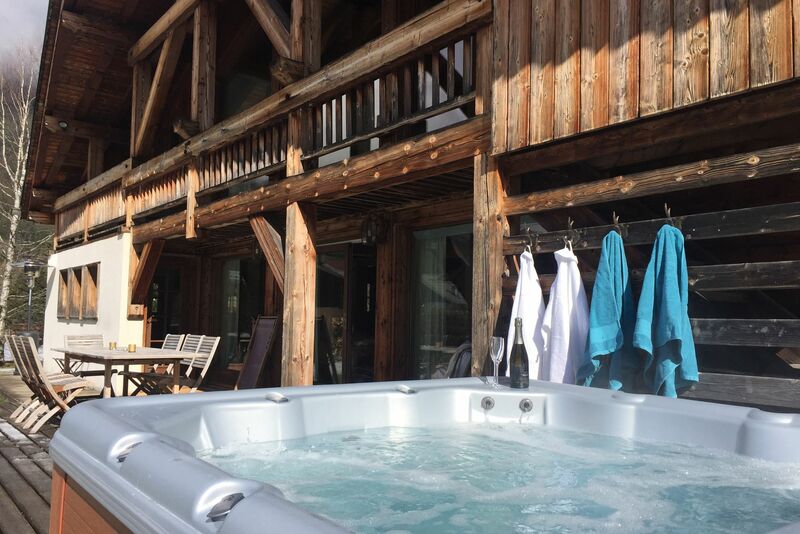 You’re tucked down a secluded trail at the end of a private road with the valley rising above you; views soar to Mont Blanc from the terrace and the barrel-style sauna. Lifts are moments away and there are tracks for snow shoeing, hiking and ski touring including the red pinion railway that trundles you up to the Mer de Glace. The Collineige team look after you well, with hearty and delicious four-course suppers or reservations for good restaurants in town, including the much-lauded Restaurant Albert 1er just around the corner. Available as Self-Catering in summer. Pets by arrangement. 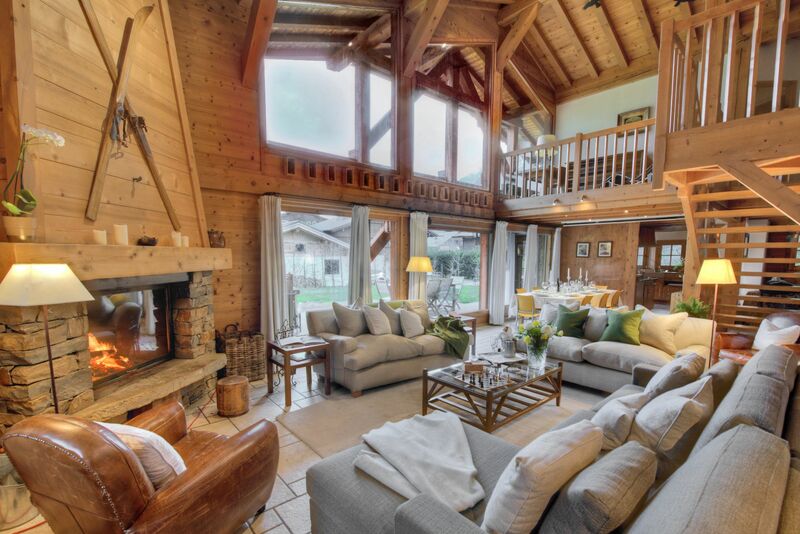 Despite being moments from the centre of Chamonix the chalet doesn’t feel hemmed in – there’s open country all around and serrated peaks high above. Town is five minutes away for a cinema, casino, bowling alley, the sports centre and pool, the square which hosts a Saturday morning market. You’re moments from the nursery slopes of Les Planards. The Aiguille du Midi cable car is a few minutes’ drive away and can whisk you up to 3,842 metres. 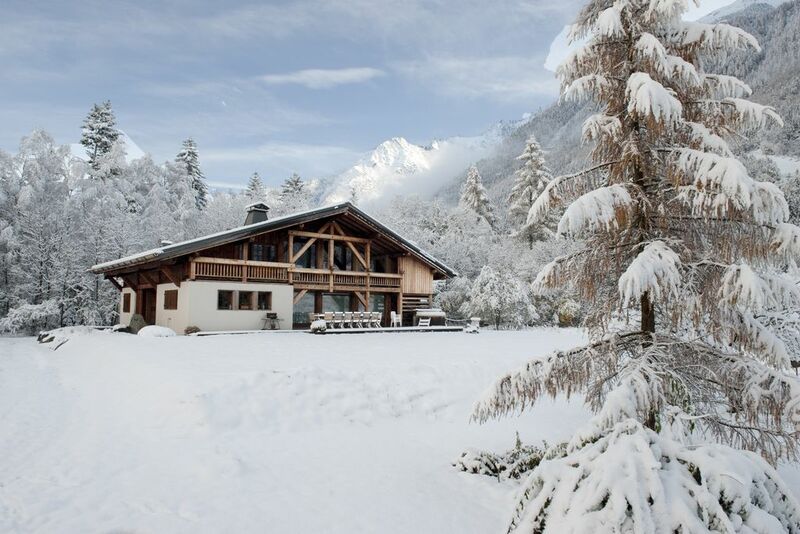 I arrived in Chamonix as a keen young skier and traveller… and never quite got round to leaving.I have raised my family here, and we offer a truly personalised service. We think the skiing is the best. Famously challenging, if you insist, but there are plenty of gentle runs too. In summer the place is idyllic, and the range of opportunities fans out: hiking, white water rafting, climbing, golf, mountain biking, tennis.